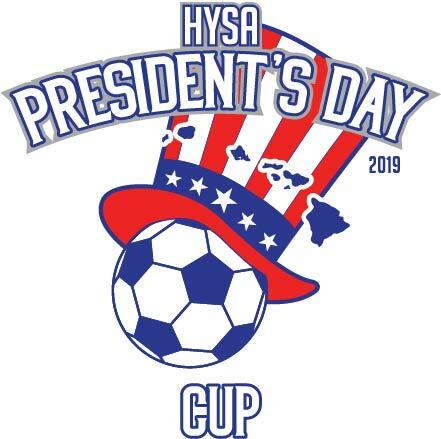 Applications to participate in the 2019 HYSA President's Day Cup will be accepted 12/1-12/30/2018. To Apply, a registered coach/manager or club administrator, but log in to an Affinity Account. HYSA has adopted a "no heading" policy for all 12U & Below teams. Announcement: HYSA will offer a "Premier" and "Select" division for each age group. There must be at least 4 teams for a division, otherwise the age group will be combined. In the 12U divisions there will also be a "State Cup" division that will be used as a qualifier for the a West Region Championships (June 11-16 in Norco, California). Travel will be required if you are declared Hawaii's representative. There will be no 12U division at the HYSA State Cup (April). This tournament is the qualifier for 12U Regionals. IF you are not committed to travel, don't enter the State Cup division! Teams should refrain from booking travel arrangements until after the schedule has been released. HYSA is not responsible for travel costs. Due to scheduling limitations, we are not able to honor requests for late arrivals or early departures. Please plan accordingly. Games will begin at 8am on Saturday!!! iPhone Affinity Tournament Application - Download the free app to your iPhone and keep up with scores here! Tournament Overall Sportsmanship Award to 1012 HSC Bulls 96B Ka'ele with an average of 50 points per game (maximum points received per game).